Hello everyone! In this article, we will introduce some information about FS19 truck mods. If you want to transport your yield from fields to silo or from silo to purchase point, you will need a tractor with trailer or truck with a semi-trailer. If you prefer to use trucks for yield transportation, firstly estimate your farm size. For large size farms, we recommend using a truck with semitrailers. These trucks can carry a lot of yields, a lot of – it means maximum capacity (except trains). But these trucks are very expensive. You must buy in-game truck and trailer separately. As a result, you can mix trucks and trailers, you can use one truck model for various different semi-trailers. Also, in-game you can purchase special trailer chassis, which help you attach a trailer (not semi-trailer) to a truck. Cheaper variation is truck – dumper. These trucks are cheaper and simpler. Some of them have a attach point for a trailer. So, you can attach some tractor trailers to trucks, when you want to transport more yield. This is very useful because you do not need to buy a special semi-trailer or truck, which can pull only semi-trailers. 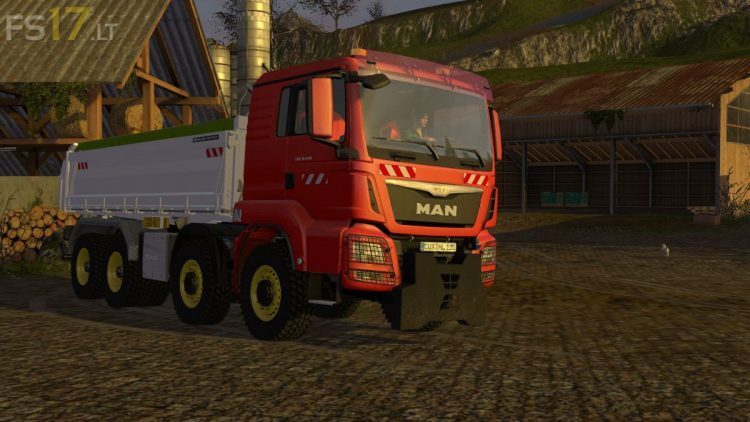 Most popular truck brands in Farming Simulator mods are Tatra, MAN, Mercedes-Benz, Scania, Volvo, Kamaz, Kenworth, Peterbilt. Another nice category of mods is cars. Maybe you thought, why need a car for a farm, but it can be useful. Firstly, you can fast arrive where you want with a car instead of going on foot. In a game, cars are faster than tractors or trucks. Next benefit, you can transport some cargo with a jeep or van. For example, you can transport seeds, fertilizers, wool pallets, wood and other small cargo. You can download a jeep mod which has a belt system, load a pallet and fasten it, so securely transport a pallet or other cargo.